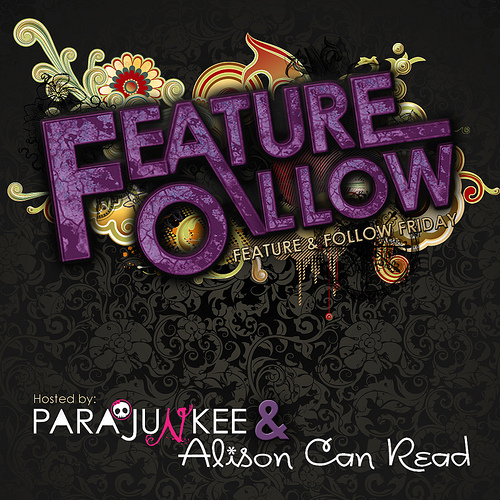 I was over at Lisa Loves Literature and she's doing a Feature and Follow that I thought sounded fun. You should do it too. Create a line of poetry with your book spines. Or Tell us about your favorite poem. Leave a link with your FF! What a cool poem that turned out to be. This is a cool post idea. I might have to join in on the fun. I love the way the poems are turning out. This was a lot of fun :) I'm a new bloglovin follower (MeredithRaeJ). Great choices for the Spine poetry! Thanks for stopping by my FF. :-) Now following you! Thanks for stopping by my FF! New follower via Bloglovin! Your poem is really great, I love it! Thanks for sharing I loved this Friday's creative posts, such an awesome idea. Thanks for stopping by my blog, I'm following you back via Bloglovin'. Hopping through. Thanks for following, following back via Bloglovin. Wow! I haven't heard of a lot of these titles, but the certainly make for interesting spine poetry. I loved it! Thank you for stopping by - new Bloglovin follower :D Jaclyn @ JC's Book Haven. Great poem! I've loved reading everyones poems this week, it's been such an awesome FF idea!! Thanks for stopping by. Followed back via Bloglovin. Nice poem you have there! And great choice of books too! I've always wanted to read A Piece of Cake. Thanks for dropping by my FF! Thanks for stopping by my FF Elizabeth! Following you back via Bloglovin' and GFC! Haha!! Great poem, good to see you had a little fun with it! Great poem!Thanks for stopping by my FF and following.Followed back via bloglovin.